The Canadian Armed Forces are warning their personnel to be wary of associating with groups on social media, including Quebec's largest and most prominent far-right group. "Being part of those movements is not something that's a part of our values," said Col. Paul Fuller. 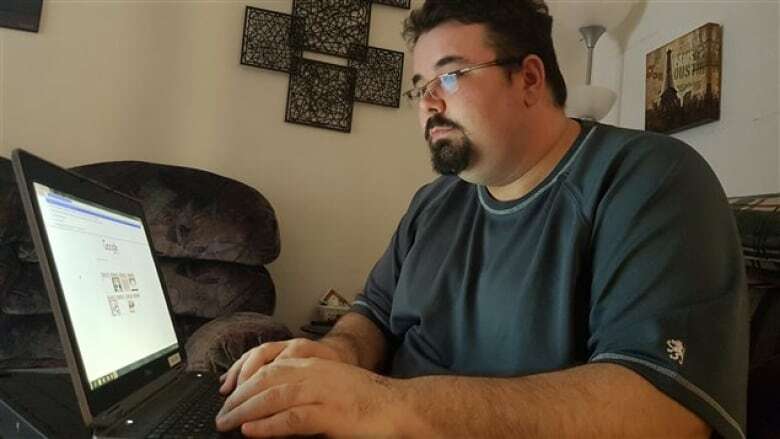 An investigation by Radio-Canada found about 75 members of La Meute's private Facebook group are part of the Armed Forces, with some visibly identified by their military uniform. La Meute, which has attracted more than 43,000 people to its Facebook group, is known for its public criticism of radical Islam and illegal immigration. Its three founders are ex-military. Military members are forbidden to join organizations that don't respect the army's code of ethics. "We have to be neutral when it comes to public opinion," said Fuller. "And we can't have personal opinions that go against our code of ethics and values." Under the Queen's Regulations and Orders personal conduct section, members cannot be seen or heard by members of the public doing anything that could "reflect discredit on the Canadian Forces or on any of its members." Those who don't respect this fundamental rule can face disciplinary measures, ranging from a first warning to expulsion from the ranks, said Fuller. In August, the Forces put four non-commissioned personnel on probation for disrupting a Mi'kmaq protest at the base of a statue of Edward Cornwallis in Halifax. Cornwallis was a British military officer who founded Halifax in 1749. Later that year, he issued a bounty on the scalps of Mi'kmaq people. The four servicemen were members of the so-called Proud Boys, a group that describes itself as a "fraternal organization of Western Chauvinists who will no longer apologize for creating the modern world." The warning comes just weeks after Canadian Forces personnel played a key role in the federal government's response to the recent influx of mainly Haitian asylum seekers crossing into Quebec from the United States. More than 370 troops helped to establish temporary shelters at the Saint-Bernard-de-Lacolle border crossing. 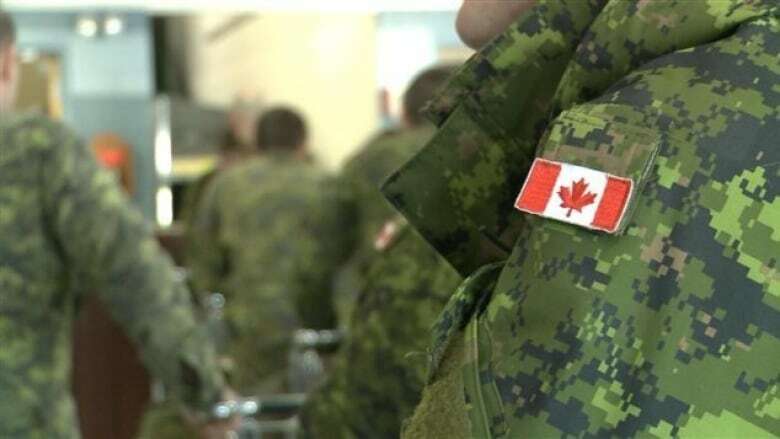 The warning also comes after Quebec's anti-radicalization centre held a training session for both military personnel and civilian employees with the Armed Forces based in Valcartier, Que. Kevin Laflamme, a young soldier who is on his way to being released from the military, admits that he was part of La Meute when it first began in 2015. "I got out of that group pretty quickly," Laflamme told Radio-Canada. "There's different people in it. Some people said sensible things, but others were too radical. "I didn't want to affiliate with that so I decided to leave." Affiliating with La Meute is also grounds for being turned away from Les Eaux Curatives, a local program that supports military personnel coping with psychological or physical injuries. Bob Danis, the vice-president of Les Eaux Curatives, said he has no desire to associate with any radical groups. "We don't want them to come here for recruitment," said Danis. "We risk being barred from the military base, by the clinic for trauma linked to operational stress injuries and by Veterans Affairs Canada." Maxime Fiset, a former neo-Nazi who now works for the Montreal-based Centre for the Prevention of Radicalization Leading to Violence, said it was no surprise that members of the Canadian Forces are part of La Meute. "It's hardly news for me," he told CBC News Wednesday. "We already knew that several military personnel were at least part of La Meute's groups." In his former life as a member of what he calls extreme-right groups, Fiset said he saw military personnel "every day." "Some of my closest comrades were in at least the reserves, others were full-time members — some of them worked at Valcartier," he said. He said the involvement of Canadian Forces personnel in Afghanistan may have helped to turn some members toward far-right groups that are anti-Muslim. The military personnel that he knows are aware that involvement in such groups runs counter to regulations, he said. "They would try to tone it down at work," said Fiset. "They were conscious that it was not something the army would tolerate for long." Fiset said he's not immediately concerned about their involvement, noting that there are no known incidents of military personnel participating in far-right violence. What does worry him, however, is La Meute's role as what he called a "radicalizing agent." "The very last thing that we would like to see is people with firearms training becoming radicalized," Fiset said. The move by the Canadian Forces to tackle future involvement of their personnel in far-right groups at this juncture is important, Fiset said. "The army taking a stand today could be considered a preventive approach."